Progress: I discovered that this bug happens only when the xUnit plugin is installed. Perhaps the EC2 and xUnit plugins are clashing in some way? 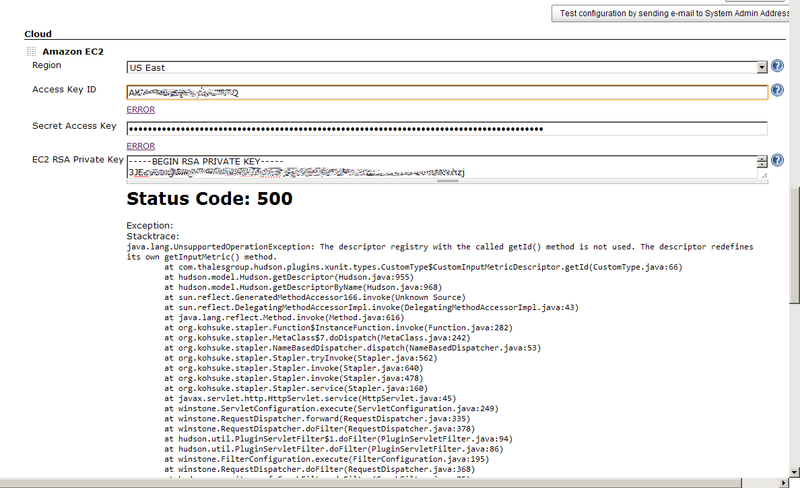 coolrr added a comment - 2011-01-26 10:30 Progress: I discovered that this bug happens only when the xUnit plugin is installed. Perhaps the EC2 and xUnit plugins are clashing in some way?